But that isn’t unusual for a student design team member at Missouri S&T. 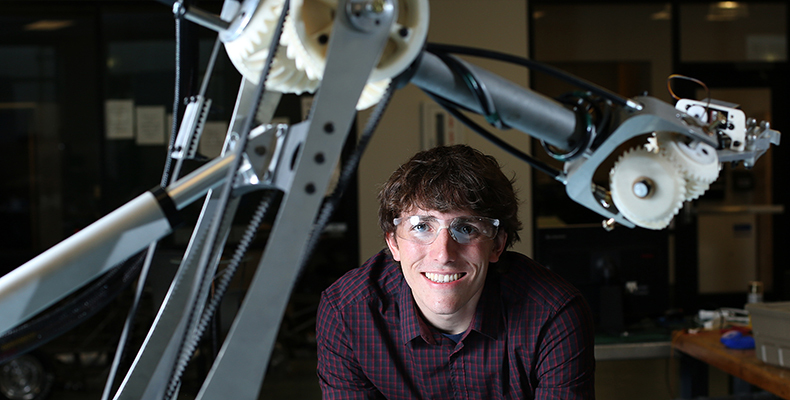 What sets Bopp apart is his single-mindedness in designing a robotic arm that can perform all the functions the Mars Rover will need, such as the ability to retrieve tools, collect soil samples and maintain equipment in the field. 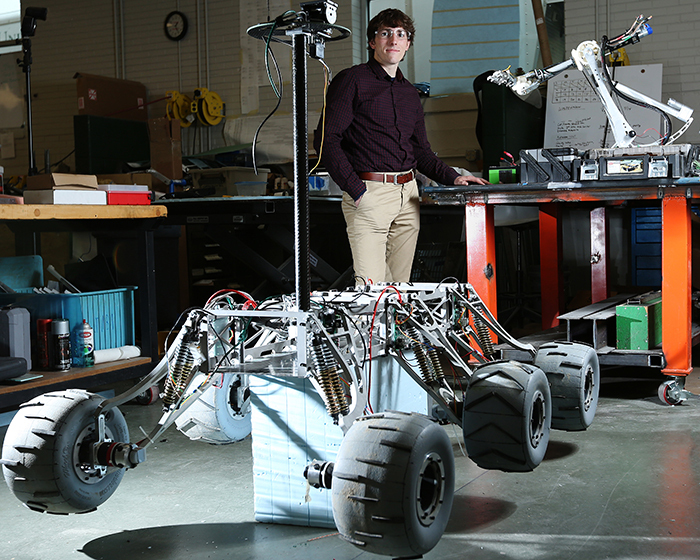 Bopp saved the money he earned during a 2013 summer internship at Molex in Little Rock, Ark., and bought a 3-D printer solely to prototype his rover designs. He used the printer to build plastic models of the gears and drills that are used on the 2014 rover. Bopp also tested the gears for durability. He says he and the other team members were a little concerned about the plastic’s ability to withstand wear and tear, but they liked the cost and weight efficiency of 3-D-printed parts. The team’s current testing proves the gears will hold up well. Bopp, who is also a member of the Missouri S&T Rock Climbing Club, will intern at Spartan Light Metal Products in Mexico, Mo., this summer. He already has permission to take time off for the University Rover Challenge, which will be held May 29-31 at the Mars Desert Research Station in Hanksville, Utah. Jonathan’s 3-D printed parts really helped the Mars Rover Design Team earn 2nd place in the University Rover Challenge!